BB: Most of your previous books seem to be aimed towards people who, while likely in debt, just need a bit of a push in the right direction. Debt Free for Life, however, seems to be aimed more at people who are deep in debt and spiraling out of control. Is that what you intended? If so, what made you decide to move in that direction? For over two years I have been a weekly contributor on NBC’s Today Money 911 segment, where viewers ask me live financial questions. These questions used to be primarily focused on investment and wealth building; however, over the months I noticed that debt related questions started to dominate the segment week after week. I was also getting tons of debt questions from people on my website (www.finishrich.com ) and on my Facebook page (www.facebook.com/davidbach ). So, I decided to write Debt Free For Life as a guide intended for anyone who has debt and wants to get out—fast! It offers an honest plan that will work—if you work it. I know some people are picking up my book because they are really drowning in debt and are looking for a life preserver. I believe this book can be the life raft that gets those people back to dry land. But let me be clear: you don’t need to be in over your head to benefit from my book. The truth is when you’re in debt; it doesn’t matter if you owe $1,000 or $100,000. I believe all debt is bad debt if you don’t have an action plan to pay if off. Debt Free For Life is about a totally new approach to building financial freedom that stresses “paying down your debt” so you can take control of your financial life. I teach my readers a revolutionary new system that makes paying off your debt easier than it ever has been—no matter how much you owe! BB: You spend a good deal of the book talking about subjects like debt settlement, time-barred debt, and bankruptcy. Those are topics that seem to be frowned upon by many of the mainstream personal finance folks. Were you afraid, while writing and publishing the book, that those same personal finance people would chastise you for bringing the subjects up? No, I wasn’t afraid to bring up those subjects. People should be educated about the good, the bad and the ugly of personal finances –each person’s situation is different – so it’s imperative to provide the readers with all the options, information, and tools possible so that they can make the right decision based on their own personal financial position. I think a lot of times people can get themselves into these sticky financial situations by being undereducated and misinformed about what options are available to them. Time-barred debt, debt settlement and bankruptcy are all options that can be considered depending on your financial situation but you will need to take a very close look at your finances and you may be required to seek a professional in order to choose one of these options. With time-barred debt, you need to consult an attorney before taking any action, but yes, I do believe that you’re entitled to use your legal rights in that regard to get out of debt and get back on your feet financially. Time barred debt is basically the equivalent of the statute of limitations in regards to your finances and debts. As for debt settlement you can usually use the rule of thumb – if it sounds too good to be true—it probably is too good to be true. I would never let anyone I love go that route– but there are a few narrow circumstances where it might make sense, which I detail in Debt Free For Life – if you are thinking about a debt settlement company make sure you check all your options and check them out with the Better Business Bureau. Finally, there is Bankruptcy. Bankruptcies reached 1.5 million in 2010, the highest in five years. With so many people who are drowning in debt and turning to bankruptcy I thought it was necessary to include a chapter explaining how it works, when to use it and how long it will take to recover. When it comes to bankruptcy, I always stress that you get professional financial and legal advice first, and to think of it as a temporary solution to a temporary problem – it doesn’t excuse you from making real changes in your life so you’re never in that situation again. But you need to know that filing bankruptcy is also not the end of your financial life. Let me stress—if you think that bankruptcy may be in your near future make sure that you don’t wait too long – act now and read Debt Free For Life! BB: What further advice, that isn’t included in the book, would you give to a reader about to read the book? I would say if you are serious about getting out of debt and staying out of debt you should build a support team of your friends and family. Have them know what you are doing, see if they will join you in your pledge to a debt free life and use them as a support system. One of my favorite success stories is of a woman by the name of Genevieve – who has a “DOLP Team” at work that keep each other on track during their journey toward financial freedom – they pick each other up when they fall down, they work together and share their progress. To provide further support for people on their journey toward financial freedom I encourage anyone in debt to join my Debt Free Challenge at debtfreechallenge.com. Challenge participants will be automatically entered to win $10,000 toward paying off their debts. Joining the challenge will help you commit to a debt-free life and stay motivated with free information and a community of support from others pledging to pay off their debts. Finally, you can join my Facebook community at www.facebook.com/davidbach – here you can share your accomplishments, ask questions, and speak to like minded individuals. The truth is millions of Americans are buried in debt and want out! There is a movement in this country right now to pay down debt and save money. Savings rates are up to 6%, the highest in two decades, and debt levels are falling. One credit bureau estimates that more than 45 million people (or roughly one out of every five Americans with a credit score) want to improve their financial well being through debt reduction. Furthermore, according to creditcards.com almost $200 billion of credit card debt was paid off last year – so I think that people are starting to see the light about getting their personal finances under control – starting with paying off their debt. People are ready to take action—smart action—that will help you become financially free and secure. And this is why I have written Debt Free For Life to give people new ideas and tools to help them be smarter about their money and their debt. The best system I’ve found for that is Debt Wise, which is an online tool that automatically pulls debt information from your Equifax credit report and uses it to create a priority debt payment plan while simultaneously tracking your progress towards debt freedom. This online program basically does what I have taught for years as the “DOLP method” and does it automatically for you. To get you started Equifax is offering a FREE trial of Debt Wise that so you can see how it will save you time and money while helping you pay down your debt. I think that people have a lot of good intentions when it comes to their personal finances, but they still struggle with debt and don’t know how to start tackling it. Equifax, just released a report listing the top metro areas in the country hardest hit by credit card debt, and in many places, the percent of household income going to credit cards is more than 15 percent – and that doesn’t include car payments, mortgage payments, etc. People are getting tired of the routine of going work, making money, spending money, going to work, making money, spending money. It’s time to free yourself from this vicious cycle by taking control of your finances. I would encourage people to take a good, honest look at what their share of debt is and then make a plan of action for paying that debt down. BB: Finally, what advice would you give to personal finance bloggers like myself? Be an advocate for your readers – they look to you for financial advice, so treat them as you would your best friend when dispensing advice. Act with integrity and don’t hesitate to tell the truth about personal finance topics, even ones that seem controversial. And always be responsible in how you present different subjects, being sure to fact-check and look at both sides of the issue first, but have an opinion. The more you care about your readers the more they will care about what you write and share. I also just want to say thank you for taking the time to my book read and ask me these questions. I really appreciate the support and the opportunity to help inform your readers! My thanks to David for taking the time out of his very busy schedule to answer my questions. 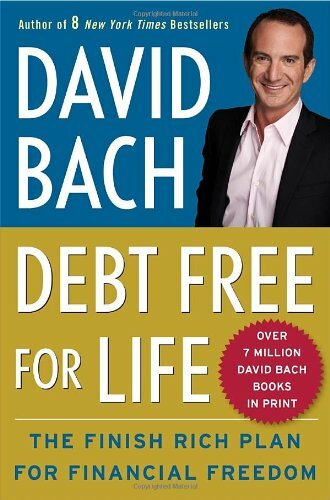 Again, I’ve got a review of the “Debt Free For Life” book coming up on Yakezie.com. (I’ll link it when it goes live!) If you’d like to give the Equifax Debt Wise system a try (I’ll have a review coming up) I was able to secure a free trial for my readers. If you go to http://www.debtwise.com/beatingbroke, you can sign up and give it a spin for free. At the end of the free trial, you will be charged, so make sure that you cancel before the free trial expires!